Hundreds of thousands of Venezuelans poured into the streets on Wednesday to demand an end to the government of President Nicolas Maduro, while the U.S. considered recognising opposition leader, Juan Guaido, as the country’s rightful leader. The rally in Caracas followed dozens of violent protests and looting overnight that left four people dead, according to an official and a rights group, an echo of tumultuous street demonstrations two years ago. The opposition has been energised by young Congress chief Guaido, who has led a campaign to declare Maduro a usurper and has promised a transition to a new government in a nation suffering a hyperinflationary economic collapse. Maduro was inaugurated on Jan. 10 to another term in office following a widely boycotted election in 2018 that many foreign governments described as a fraudulent. 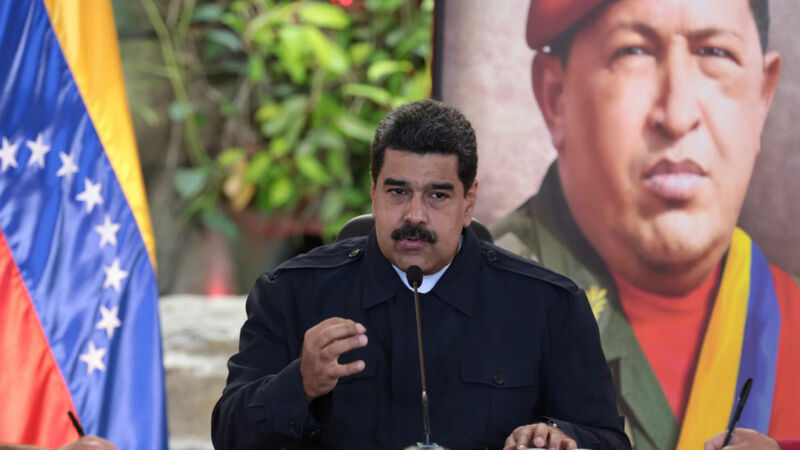 Putting more pressure on the Socialist leader, sources said the Trump administration told U.S. energy companies it could impose sanctions on Venezuelan oil as soon as this week if the political situation worsens. Demonstrators clogged avenues of Eastern Caracas, a traditional opposition bastion, where Guaido was expected to speak in the afternoon. President Donald Trump could recognise Guaido as the legitimate president as soon as Wednesday, according to two people familiar with the matter. The ruling Socialist Party, which says the country is victim of an “economic war,” is holding a rival march. “I’m here to defend the fatherland, to defend Venezuela and our president. “I’m sick of (the opposition) saying that they’re firing him,” said Yenny Duarte, 46, a member of the country’s civilian military, who was marching in support of Maduro. Guaido, 35, has called for the military to disavow Maduro and promised amnesty for those who help to bring about a return to democracy. He has said he would be willing to replace Maduro as interim president with the support of the military and to call free elections. “To all of the national armed forces, our call is clear – from this parliament, we extend our hand and ask that you come to the side of the constitution and the people, your people,” Guaido wrote on Twitter. Three people were shot dead on Tuesday night in southern Bolivar City during a looting of a grocery store that followed a nearby protest, Bolivar State Governor, Justo Noguera said. His administration has jailed dozens of opposition activists and leaders for seeking to overthrow him through street demonstrations in 2014 and 2017. The 2017 protests left 125 people dead in clashes with police.